Glendale Nissan offers savings on popular 2019 model year Nissan vehicles. Shop the March Markdown Sales Event at Glendale Nissan. March is one of the most exciting times of the year for basketball fans, as many of the country’s universities with the best basketball teams square off during March Madness for the National Championship game. However, basketball isn’t the only reason to get excited this March, as Glendale Nissan, a new and used Nissan dealership serving the Glendale Heights area, is hosting the March Markdown Sales Event. During the March Markdown Sales Event, drivers will be able to find fantastic discounts and deals on popular vehicles. In fact, many vehicles that car shoppers would be interested in such as the 2019 Nissan Sentra S, 2019 Nissan Rogue S AWD and 2019 Nissan Altima 2.5 S are all a part of the sales event. Along with marked down prices, drivers can also find great lease offers on these Nissan vehicles. While many people are used to buying or financing a vehicle, there are many benefits to leasing a vehicle. For example, people are often leasing newer vehicles, so they will experience each model in its trouble-free years and if anything does happen, they are usually covered by the manufacturer warranty. Drivers also get to drive higher-priced or better-equipped vehicles with leasing deals without having to worry about selling a car or getting a good trade-in value later on. Glendale Nissan is a full-service car dealership in Glendale Heights that specializes in both new and used Nissan vehicles. 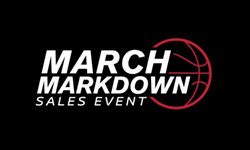 Drivers interested in shopping the March Markdown Sales Event should act quickly, as these deals end on March 31, 2019. Those who have questions regarding the sales event or a particular Nissan vehicle can contact the dealership at http://www.glendalenissan.com or by dialing 630-469-6100 to contact a staff member directly.